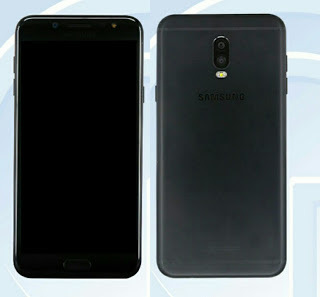 Samsung to launch Galaxy Note 8 with a Dual Rear camera on August 23 now Upcoming Samsung Galaxy C7 2017 with Model number SM-C7100 has been certified by TENAA listing shows Dual Rear camera. further expandable with MicroSD card up to 256GB. On Camera, it will have a Dual 13MP +5MP Rear camera and 16MP front facing camera.The Device runs on Android 7.1.1 Nougat it has a Fingerprint Scanner on the Home button packed with a 2850mAh battery. Samsung Galaxy C7 2017 to come in Black , Gold color expected to launch Soon in China.